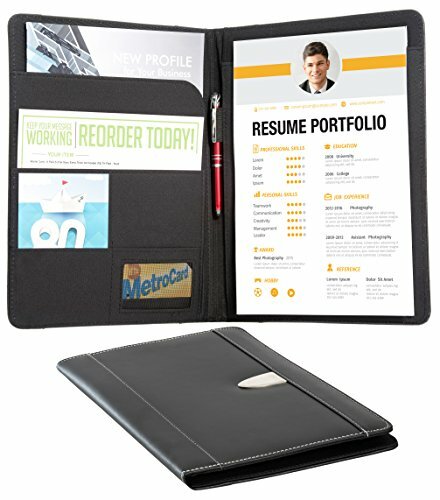 Legal-size pad folio with inside flap pocket and two open pockets for business cards, and center pen holder. 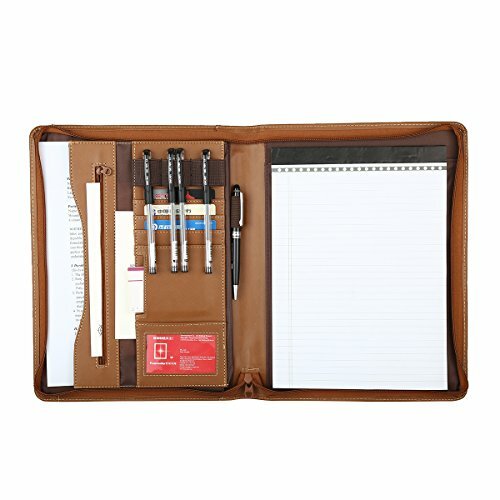 8.5 inch x 13.5 inch legal-size notepad included. 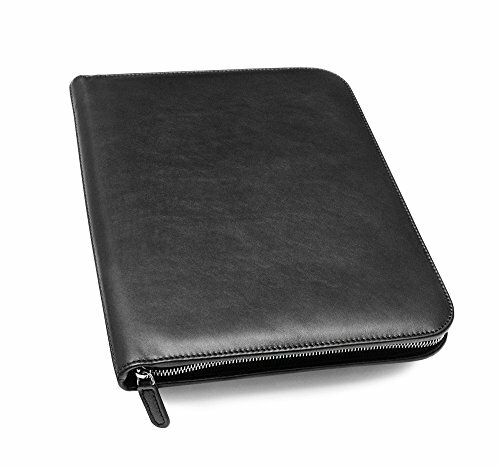 This sleek padfolio is smaller than our classic padfolio and fits a 5 x 8 writing tablet. 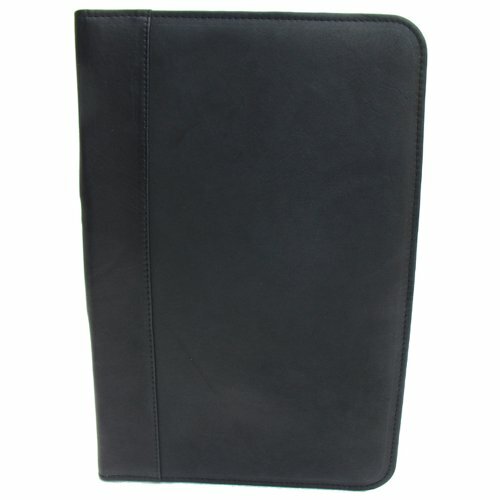 Size: 13" wide x 10" high ( 25.4 cm x 33.2 cm ) Feature: Hidden briefcase handle with zipper closure. 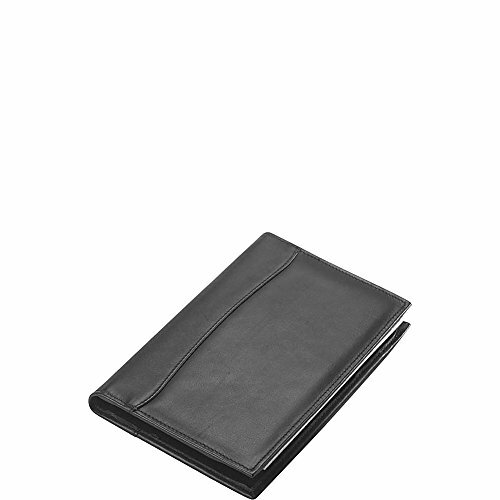 Compartments: Two open external pockets on both the side. 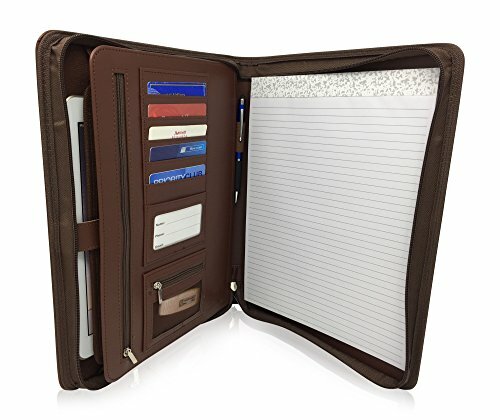 Inside one A4 size slot for Pad folio with pen slot. 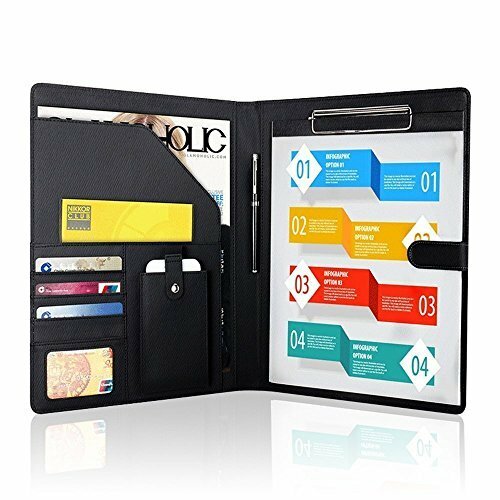 One zipper pocket, one A4 size pocket on inner side. 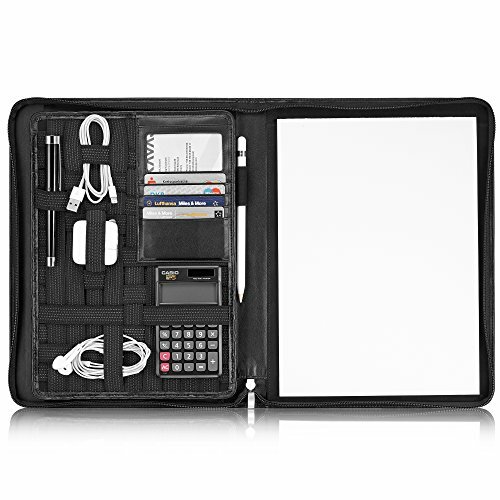 Four card slots and one big slot for mobile or calculator. 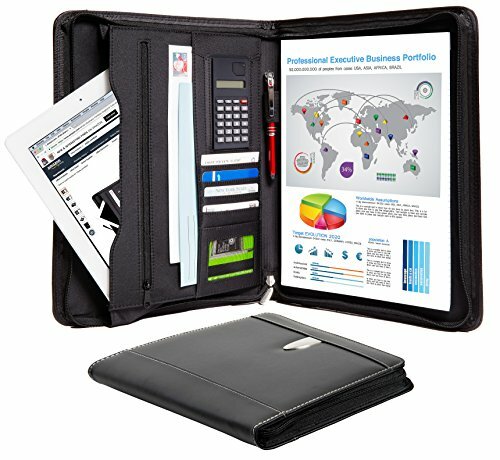 Men's Leather Business Padfolio Travel Portfolio by Buffalo Jackson Trading Co. 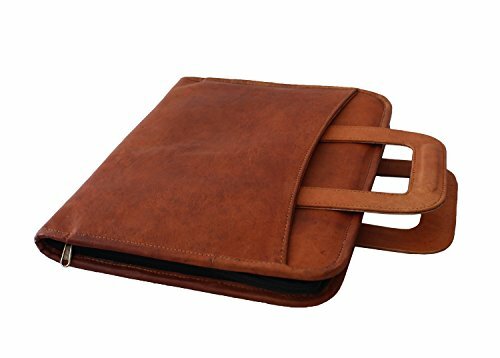 Rugged Tough Leather Business Travel Padfolio by Buffalo Jackson Trading Co.